We are licensed by the NY State Department of Health to provide adult day care as well as full-time and respite residential care. All care plans are customized with our team, which includes a talented cadre of visiting physical therapists and MDs. Residents at Sutton Gardens recieve full service, 24-hour care for varying needs. We help meet families' goals for supportive care. 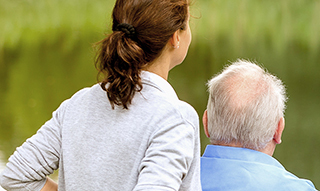 We are experienced in working with seniors who have memory loss and retain a professional staff that is seasoned in coordinating care with our residents' medical teams. Sutton Gardens Senior Living is a delightful place to call home. The warm environment and services we offer also make our communities a good option for seniors who want to give their normal caregivers a break, recover after surgery or other medical issues, or test the waters of senior living. During their stay, Sutton Gardens’ Retreat guests enjoy the same services, amenities and support as residents, while benefiting from a relaxing, stress-free environment. Sutton Gardens caring employees pride themselves on fulfulling the individual needs of seniors with respect and compassion while maintaining their dignity. We understand that every resident has their own needs and preferences. Our staff meets with each resident and their family before move-in to establish appropriate care and services and draft an Individualized Service Plan. We are always available after move in to answer questions and to help. The senior's personalized plan is monitored daily and can include assistance with personal hygiene and grooming, dressing, showering and bathing, assistance with eating, continence management, mobility, socialization and medication management.